To estimate effective temperature, draw a line from the appropriate point on the top scale (air temperature) to the appropriate point on the wind-speed scale at the bottom. The effective temperature is the point at which the line crosses the middle scale. 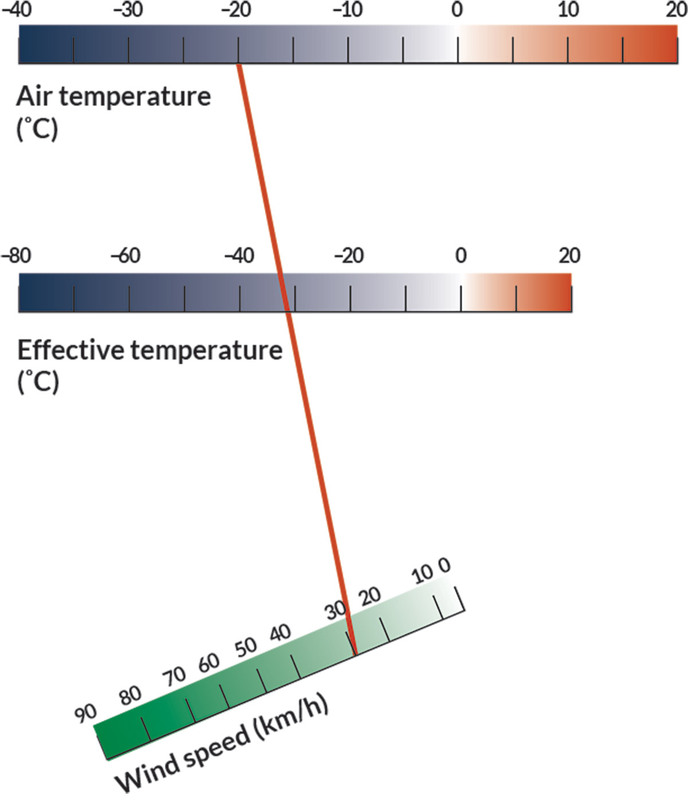 In the example, a wind speed of 30 km/h (bottom scale) lowers a temperature of minus 20°C (top scale) to an effective temperature of 31°C (middle scale). Download a PDF so you can try this yourself! Classroom activity from Classroom Antarctica.